With the athletics calendar officially over, our staff looked back at the year that was and handed out our annual awards. Take a look at who we selected as the best-of-the-best to wear the Black and Gold this year. A Third-Team All-American last season, Humphrey has flat-out dominated the collegiate golf season. He has been the anchor for the fourth-ranked Commodores, and was the leader of the team that went to the NCAA Tournament. As if that wasn’t enough, he followed it up with a berth in the 2018 U.S. Open at Shinnecock Hills. His accolades speak for themselves. 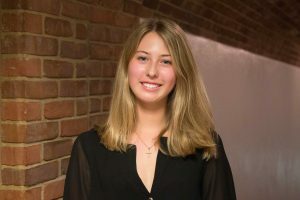 The junior out of Greenwich, Connecticut averaged 70.26 strokes per round, one of the best season averages in Vanderbilt history. He was a semifinalist in the US Amateur tournament this past summer. He finished the year as the eighth-best NCAA D1 golfer (according to GolfStat) and was named a semifinalist for golf’s prestigious Ben Hogan Award. At the conclusion of the season, he was named a PING First-Team All American, the fifth Commodore ever to receive the honor. It’s only fitting that Astra Sharma wins her namesake award (again) after another standout season. As a senior, Sharma has been balancing the demands of playing Grand Slam pro tournaments as an amateur and competing for Vanderbilt. Y’know, like your everyday student. She made her Grand Slam debut at the Australian Open in January when she partnered with Belinda Woolcock in the doubles tournament. Although the Aussie duo lost in the first round to the 12th-ranked doubles pair, they fought hard. Sharma also competed in singles in a few International Tennis Federation tournaments in the past year, winning two tournaments in Europe over the summer. She also was the runner-up in a tournament in her home country of Australia in October and another in Orlando just last month. She is currently the 395th-ranked singles player in the world, even though she is playing pro tennis on a limited basis. Sharma, the reigning All-American and SEC player of the year, led the Commodores to the SEC regular season and tournament titles and a berth in the NCAA title match. Even with her eye on a professional tennis career, she has continued to be dominant in college matches. Sharma boasts an 11-1 singles record, and she has not left the No.1 court all season. She was undefeated in conference play. Sharma and Fernanda Contreras were the 22nd-ranked doubles pair in the nation, and they would likely be ranked higher if they had played more matches together. Individually, Sharma finished the season as the nation’s top-ranked singles player. She played a pivotal role in taking Vanderbilt to the NCAA championship match and bringing that match to the wire against Stanford. Only one coach has given Vanderbilt two national titles, and that’s John Williamson. In the early part of the last decade, Williamson left Tim Corbin’s baseball staff to coach a new bowling program. 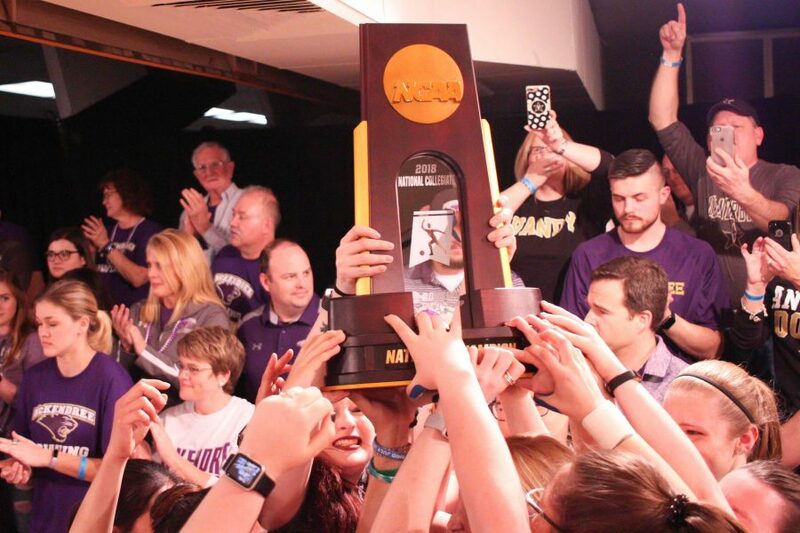 Three years later, he won the school’s first-ever national title. 11 years later, he finally got his second. This was not even Williamson’s most highly-touted group going into the season. Yet, he found a way to get the best out of them and lead them through a tough NCAA Tournament and to a dramatic win in the title match. Austin Martin hasn’t just been the best rookie on Vanderbilt’s baseball team. He has been the best player. Martin got his first start on opening weekend against the Duke Blue Devils, and promptly began the game with a leadoff home run. From there, he hasn’t skipped a beat. He finished the season with the team’s second-best batting average, trailing only J.J. Bleday, who missed a month due to an injury. Martin also only trailed Bleday in on-base percentage. When deciding these awards, I knew this award had to go to someone on the 2017 soccer team. There were too many to choose from, so they all share the honor. Quite simply, coach Darren Ambrose’s freshmen, including Olivia Simmons, Myra Konte, Leila Azari, Madiya Harriott, Paola Ellis, Madison Elwell and Rebecca Rossett played an integral role in the program’s best season in years. At the beginning of the season, Ambrose made sure to ease the players into their new roles. By the end of the season, when Vanderbilt upset Ohio State in the NCAA Tournament, the group looked like a team of seasoned veterans. Konte provided a stellar two-way game, Simmons was stellar alongside veteran Stephanie Amack on the back line, Harriott was as fast as anyone on the field, Azari provided solid minutes up front and Ellis chipped in with a clutch goal against rival Tennessee. Imagine being trained as a veterinarian for years, and then suddenly being told you are doing open heart surgery on humans. 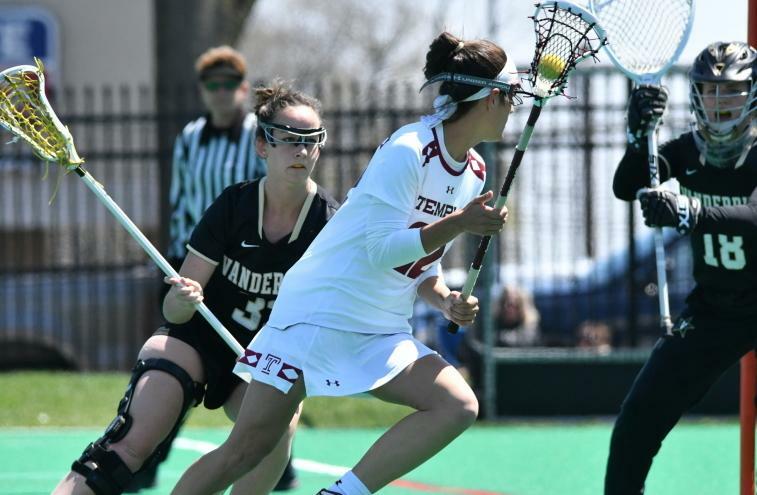 That was essentially the task facing Vanderbilt Lacrosse’s Grace Bell this season. She was recruited as a position player, and started the 2018 season as a position player. However, injuries and a myriad of other issues left the team without a keeper for a good chunk of the season. Having never played the position before, Bell was asked to fill in. And she performed admirably in the position. Bell helped the team nearly spring an upset of sixth-ranked Florida and helped the team get to an 8-9 record despite not having a recruited, experienced goalkeeper ready to play. Before the Commodores had their season derailed by that dreaded Alabama game, the team got what seemed to be a signature win at the time with a 14-7 upset of a ranked Kansas State Wildcat team. It wasn’t very pretty football, but a late diving touchdown by quarterback Kyle Shurmur put the Commodores up before the defense held on for the win. The win gave the Commodores a 3-0 record and put them in the discussion for a national ranking. That discussion lasted almost exactly seven days before Alabama rolled into town and put all of that talk to bed. On Valentine’s Day, Mississippi State and Vanderbilt had been enjoying a casual game of basketball when Joe Toye suddenly decided to end the niceties. With 7:17 left in the second half, Toye received a pass on the left baseline, took two hard dribbles to the basket, rose up off of his left foot, cocked his arm back, and slammed home the one-handed poster dunk over unlucky defender Aric Holman. Before getting back on defense, the 6-foot-7 junior took a second to stare down the 6-foot-10 Holman who had fallen down on the powerful jam. Has there ever been a more accurate depiction of the Vanderbilt fan experience?